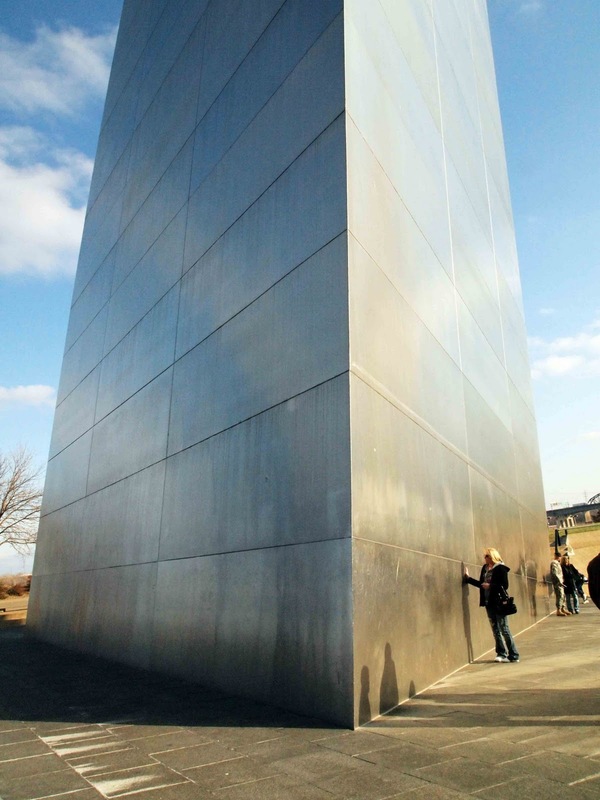 The Gateway Arch is the most prominent landmark of St. Louis. 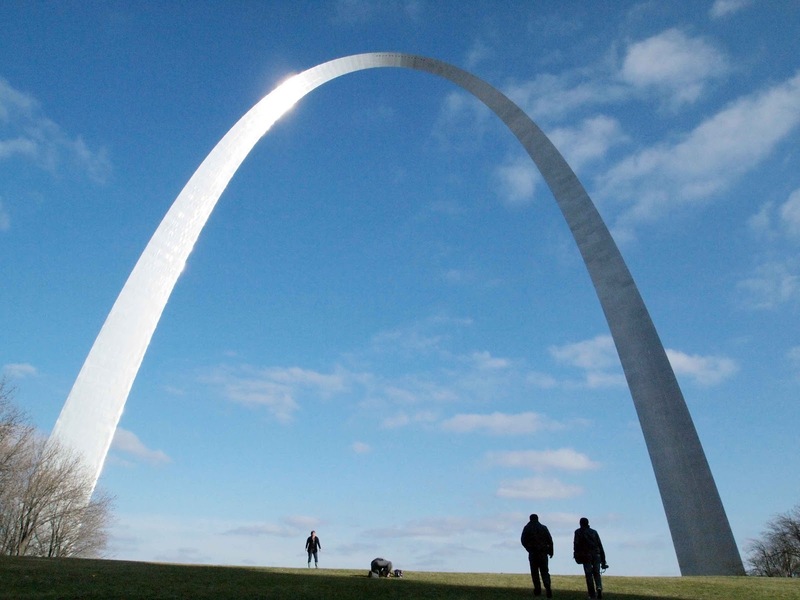 Dubbed the Gateway to the West, the 630 feet high monument is the tallest man-made monument in the United States. It is also the city's tallest structure, as no building can be built in downtown St. Louis that can be higher than the Arch. The steel and concrete arch was designed by Finnish-American architect Eero Saarinen and structural engineer Hannskarl Bandel in 1947. The shape of the arch is based on a mathematical equation, a hyperbolic cosine function that describes the shape of a catenary . A catenary is the idealized shape that forms when a chain is hanged on its ends and acted only by its own weight. 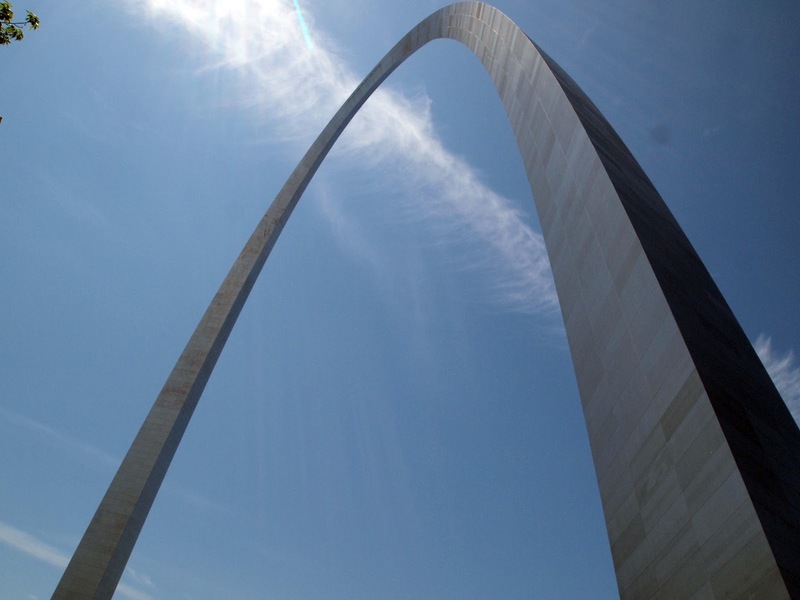 The equation to describe the Arch's shape would be y=693.8597-68.7672cosh(0.0100333x). 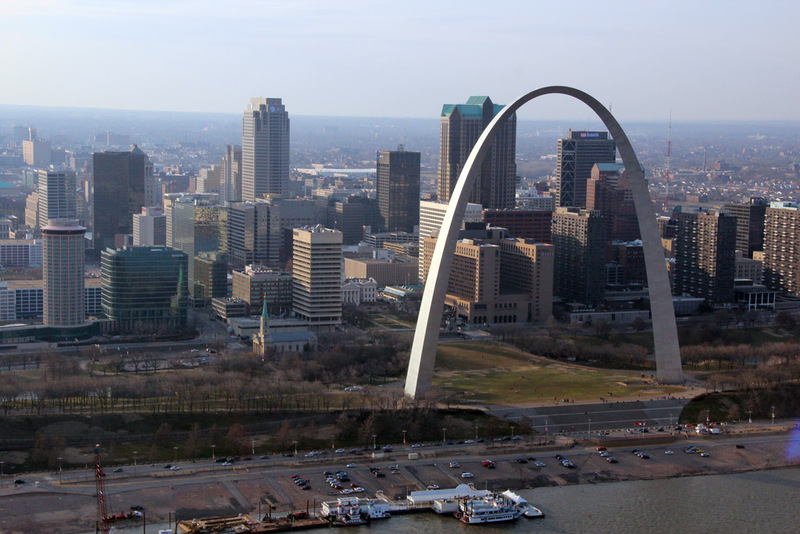 Built in 1963 to commemorate the role of St. Louis to the westward expansion in the 19th century, the Arch was declared a National Historic Landmark in 1987. The only way to go to the top is to take the trams - with one for each leg - which feels like a stop-and-go ferris wheel ride inside a cramped capsule that fits five people. Once it reaches its highest platform, guests will disembark and take the stairs to the observation deck. Each tram has eight capsules, and the trip to the top takes around 4 minutes. Although the windows on the 65-foot long observation deck are sized like slits, peering down them allows one to have magnificent views of downtown St. Louis and the Busch Stadium on one side, and the Mississipi River and Illinois on the other. 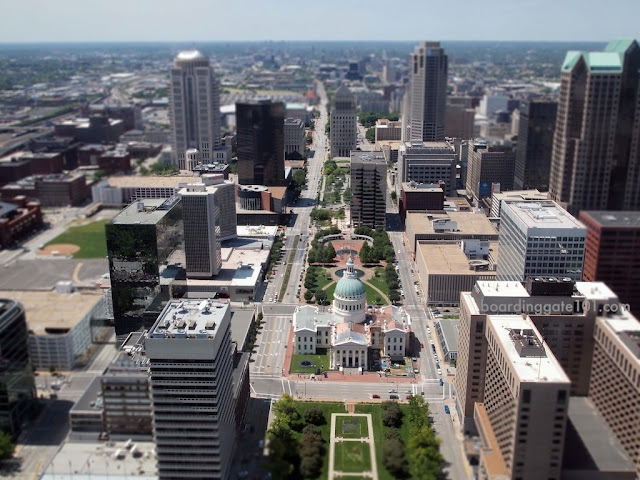 Another way of view the Arch is by taking a helicopter ride over it. How to Get There: If taking the MetroLink, get off at Laclede's Landing station and cross the street to the park. The monument is not easy to miss. 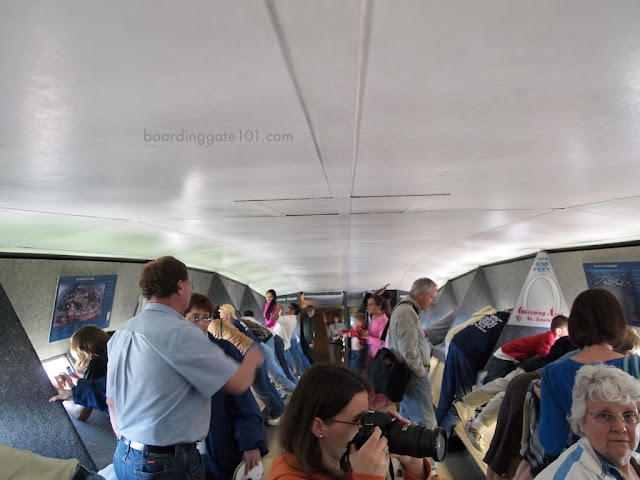 Entrance fee to the observation deck starts at $10 for adults. At the bottom of the Arch is the Museum of Westward Expansion.